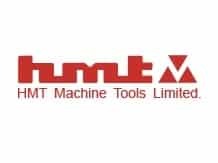 HMT Machine Tools Jobs Recruitment Notification 2018.HMT Machine Tools inviting applications for the positions of Professionals Posts in Marketing, Finance & HR Posts in Bengaluru,Hyderabad Ajmer & Kalamassery.Interested and Eligible candidates can apply for the positions. Last Date for Submission of Application is on November 26th, 2018. Graduate in Mechanical/Electrical/ Electronic candidate from recognized university or equivalent can apply for the said posts.